After reviewing months of auditions, Queen’s Roger Taylor has confirmed the lineup for the Queen Extravaganza touring band. The lineup of six musicians will tour North America in 2012 backed by a huge production that features all the classic Queen songs. “The Queen Extravaganza” band line-up consists of singers Jennifer Espinoza (San Antonio, TX) and Marc Martel (Montreal, QC / Nashville,TN), guitarists Tristan Avakian (Toronto, ON) and Brian Gresh (Tulsa, OK), drummer Tyler Warren (Camden, TN) and bassist Francois-Olivier Doyon (Quebec City, QC). 2012 will see the launch of “The Queen Extravaganza Tour,” a grand touring production that will celebrate the music of Queen. Coming on board to ensure the touring show will match the design and excitement of Queen at its best will be such rock tour heavyweights as stage designer Mark Fisher (U2, AC/DC, Muse, The Rolling Stones, Cirque de Soleil) and lighting designer Rob Sinclair (Adele, Vampire Weekend, Goldfrapp, Peter Gabriel). Taylor will oversee the road show, taking the role of producer and music director, with Queen guitarist Brian May involved later in the production, but Taylor’s most important role, however, was leading the judges, Spike Edney (Queen’s keyboard player since the mid 80’s and Trip Khalaf (Queen’s eternal sound engineer) in hand picking the musicians that will be featured on the tour. 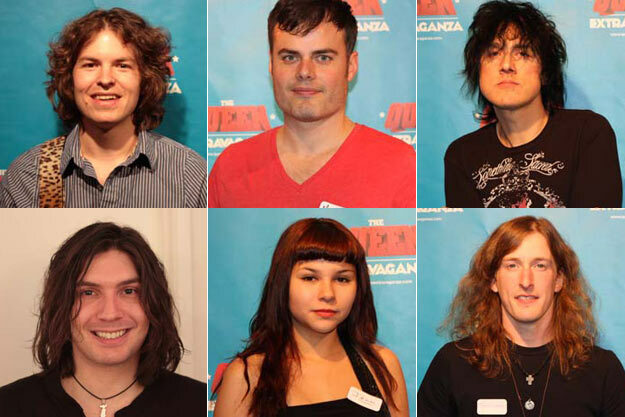 The judges spent 11 weeks reviewing online auditions and weighing votes from Queen fans around the world to confirm the lineup for the band. “As the audition videos began posting, we could see right away that the caliber of talent was very high,” says Taylor. “But when I got into the studio with the final 25 musicians, I realized that these guys are seriously good players. They went way beyond my expectations. It was an incredibly difficult decision to choose the final line-up. I wish I could've kept them all, but in the end, I'm very happy with this group of exceptional musicians."